​each year we give scholarships to students to help them on their educational journey! Make A Donation For Students Scholarships Today! Go Directly to Student Scholarships! 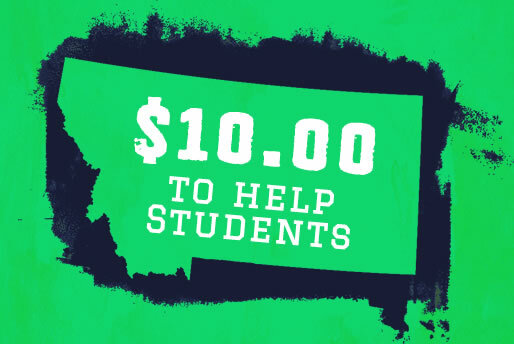 Here is your chance to donate a $1.00 and help a student on this higher education journey! ALL donations go directly into a scholarship fund that is given away to Montana juniors and seniors.